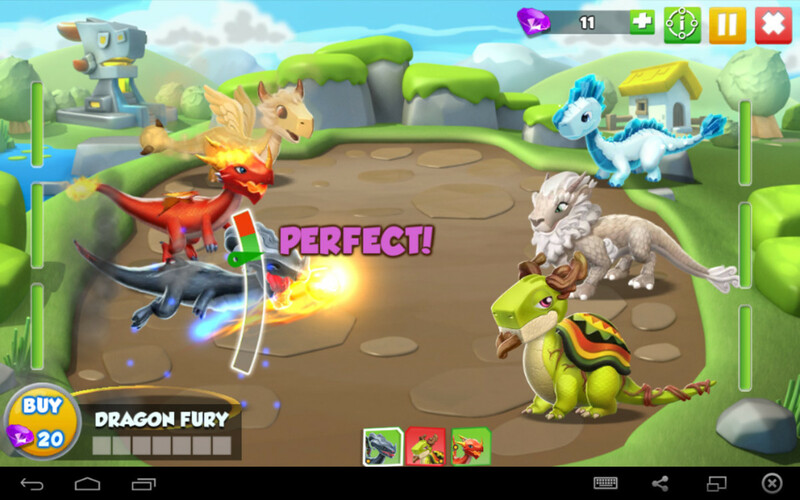 Dragon Mania Legends gameplay elements are similar to Dragon City, the battle system makes this game unique compared to other Dragon management games, breeding dragons, fun but the game has tons to do like following the story or take part in many events competing against other players to be the best while breeding many types of dragons. My wind habitat that will support my wind dragons, upgrade this to keep more dragons at this habitat. There are many types of habitats to accommodate your dragons, fire, water, earth and many more you will need these habitats to keep dragons your habitat can only store 2 dragons, though you can upgrade them to store more dragons, the more you can store the more space you will have not like there isn’t plenty of space already, you can always buy more land when you need more space but this is expensive upgrading is much faster. 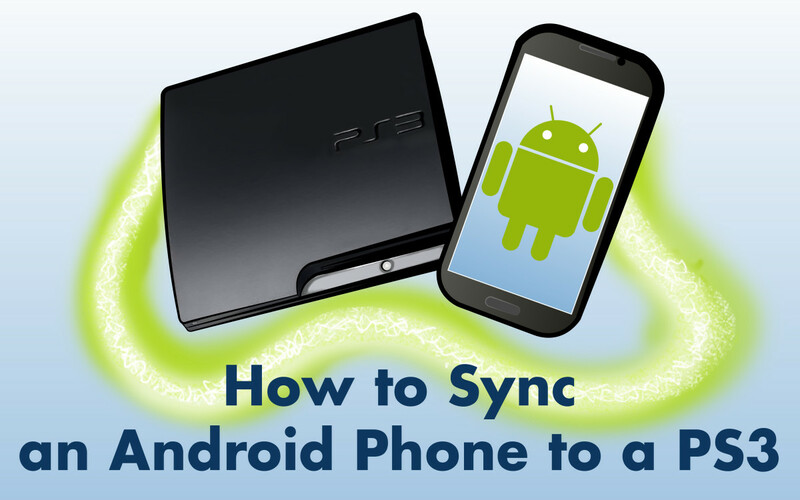 Check this easy tip to get yourself event ready. 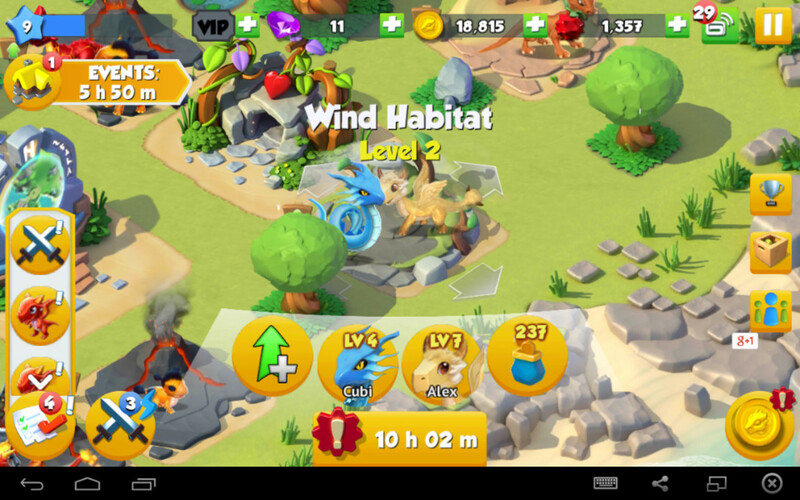 Build enough habitats for your dragons, each dragon element type will require the correct habitat for them to stay there, more dragons more gold, but the reason for hatching dragons fast, every now and then there is event you can participate in, the even can be anything but mostly it will be gather gold and other sorts of things, you compete against thousands of players by having a good amount of dragons and habitats for them to stay in will make you event ready. 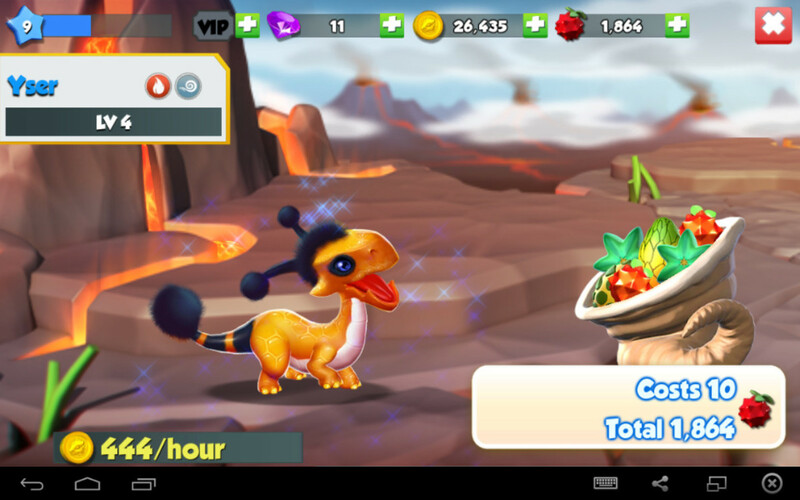 One of the best ways to level up your dragon is by feeding them as much as possible, their favorite food includes Spiky Cherry, Purplemon, Sour Cone and many other food types, the more you feed your dragons the faster they will level up, the higher your level gets the more food it will consume to reach the next level but the gold is also increased the more you train your dragon. 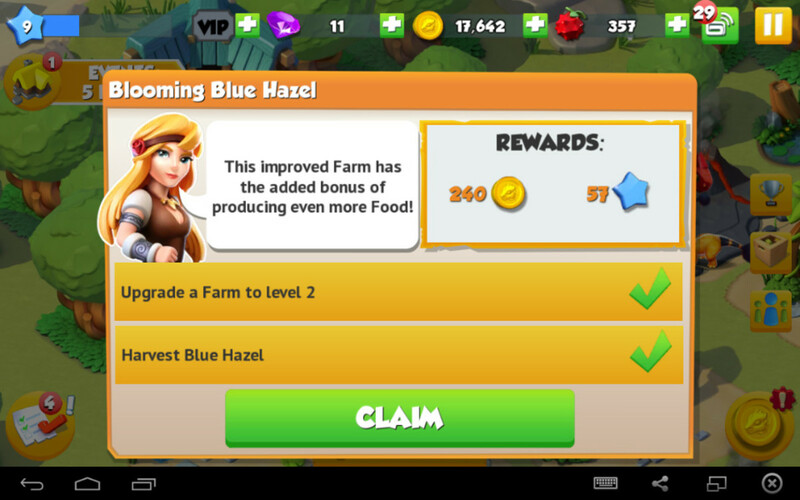 Build at least 3 farms upgrade one of them to level 2, this way you can grow 3 types of at the same time each food type has a different amount of time to produce, it’s important to have at least one farm on level 2 when starting out the higher the level the more food they will consume. Hatch at least 3 Common Dragons and level all dragons to level 6 this will give you a good start concerning gold per hour, dragons can be common, uncommon, epic, rare, legendary and boss you will get more gold per hour if you had a rarer dragon, to breed rare dragons takes a lot more time including to hatch the egg. This is the battle screen, landing your attack on the green bar will help you build up a special attack. If you followed the above tips to gain more gold then the first few battles will be a walk in the park with your level 6 dragons, there is more to it than just high levels sure fighting higher level dragon can kill your dragon in one attack or do major damage but there is so much more to it, each dragon has an element by clicking next to the enemy dragon it will reveal the element match it against one of your dragons that’s strong against that element like Water Vs. Fire to do maximum damage. The game is friendly to new players when in battle you can select an attack and drag it on to the enemy you will see how much damage your selected attack will do if only a little drag it back to your dragon and select another attack this is an easy way to see what attack will do the most damage. Skills gained at the Dragon Academy some will do major damage to one target, but still do some damage to the rest of the enemy dragons then some skills will do next to no damage, but will decrease the damage the enemy can do this might seem useless, that’s not the case it’s well worth it when the enemy can’t do much damage especially when battling higher levels, having your level the same as your opponent will make it an even fight having it higher will give you the advantage. Never do a battle if you know you are going to lose it takes a while before your portal recharge energy and once you lose that energy is still consumed, as a backup you can always invite your friends to play, then you can rent their dragons once one of your dragon's die your friends dragon will take its place keeping your dragon party strong at three. Always try to hit a perfect shot, you do this by landing the cursor on the green bar this will let you build up a special move and once full you can use the attack to do a lot of damage to all of the dragons in your opponent’s team. The to do list here i completed one and got experience and gold. 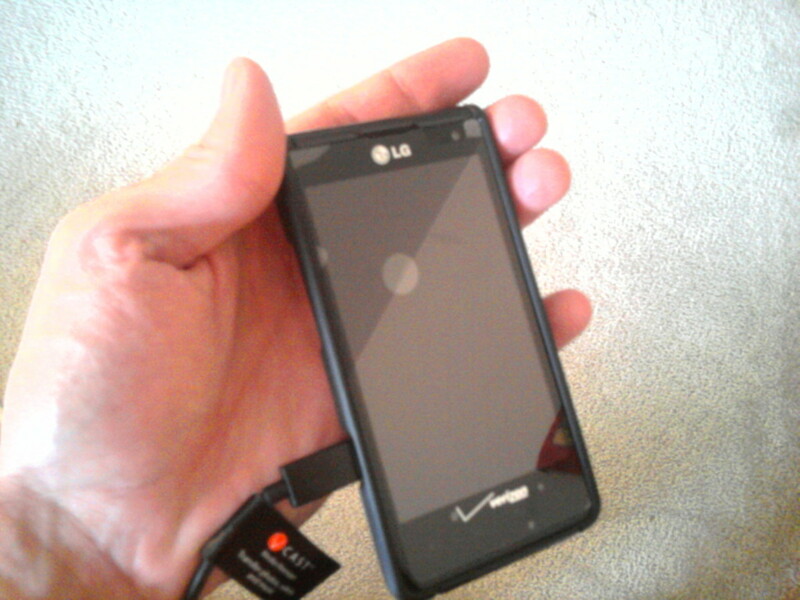 You can locate this on your left bottom corner. On the left side in the bottom corner you can select a few things to do, this will reward you with food, gold and sometimes crystals, crystals can be used to speed up things like breeding, hatching, finishing a task or skipping on the to-do list or even buy dragons, really why waste money if you can get them at random. You can get crystals by doing the following taking part in events if you do good, then you get good rewards, lots of food, gold if you do really good a few crystals, you can also get them from giving your dragons attention you won’t get a lot, maybe 1 or 2 crystals out of all your dragons, there is also a lot of objects on your land that can be removed to make space this will give you the experience to level up and if lucky you might find some crystals. You can also do the milestones to get different rewards on the right of your screen you will see a trophy by clicking this it will show you what you need to do to earn your rewards. Your favorite dragon management game? I play this game as "NEVA MESS WITH A WRITER" with fancy letters (Recruitment Code: 1882f9). I really like the game, but I hate the USD pay parts. But don't we all?